I would use it to surf the net, and the Ereader to read everything! I am already a subscriber. I would use the computer if I won. It would allow me to stay in touch with everyone when I travel. oh what fun to find out just what I could do with the touchsmart. Oh this is so neat!! If I had this I would use it the ereader on it alot. This would drastically reduce clutter in my home due to all of the books I have. I wouldn’t have to buy books anymore, I could just download them! Thanks for the great contest. Good luck to everyone! would have to learn how to use it, but it would be great to replace my old computer!! I would do my school work on this great computer.I subscribe. I’m a subscriber…of course. It would be great to win this laptop! My daughter is taking advanced classes and will be completing regents in 8th grade. This would be a huge help with studying. Unfortunately I can’t afford it by myself. Winning would be the best gift to give and her reaction would be great for Mother’s Day! Please! I subscribe. I’m a teacher, and I could find all kinds things to do with this HP. My current laptop is old and heavy, and the battery doesn’t stay charged. The 9.75 hour battery life would be wonderful! I want to use this for movies. I would use the laptop and tablet to edit photos and videos. It would also double as a great digital portfolio rather than bringing a traditional portfolio I could carry the tablet and show clients great photos directly from my computer. I’d use it as a shield against the iPad geeks closing in around me. I’d share this w/ my husband and daughter! I am a subscriber. I would use this when I travel as it is an easy carry-on. Also, I’ve always thought I’d like to try drawing - this might be a good tool for me. Great to take to Valley Forge Park where there are some many good subjects for sketching. This would be the perfect laptop for my sister. She is juggling a full time job and full time schooling. She’s been needing a laptop for a while now for school but can’t afford it. I’ve been trying to save up for a computer for her but this would definitely help me helping her out. I could watch tv or movies on it. I would use it for everything. Especially reading. Great Computer - This is having everything you need when you need or want it! I am a subscriber and I would play with it all-day-long! Fun! Hi, I’m a subscriber and have always wanted one of these for my kitchen. I’m always cooking and looking up Martha Stewart recipes on line and would love to be able to have this right at my fingertips when cooking. What a great give away! That is so cool!I could really use that for my business.Please enter me. I’d use it as a prize in a charitable fundraiser. 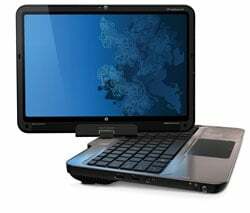 I would use the HP TouchSmart for all of my favorite computer activities (blogging, emailing, entering contests, social networking, surfing the Internet, etc.) and would let my daughter use my laptop (which just so happens to be an HP) since some of the web sites she likes to go on do not work very well on her netbook. This a Smart gift for my wife - our children’s Mom, who desperately wants to become computer savvy. I would finally be able to carry around my work/pic’s/videos around to show family/friend’s/co-workers, instead of just talking about them. I would play with it for awhile and then try to determine who in the family could best use it. I would use it to read the news online, which I love to do! Thank you. I would use it to read the Techlicious Newsletter! My 12 year old has talked endlessly about this HP Touch Smart, lol. If I win it, I might let him look at it from a distance, lol. Thank you for offering it! Great Looking Gizmo Packed With Features! I Would Give It To My Wife. She Would Get The Most Use Out Of It In The Kitchen. I would give this to my daughter who is in college because the laptop she has now is falling apart. I would give this to my Mother so she can keep up with gardening tips and look for new recipes. She’s always on the lookout for new things to try. Since I am a technology professional, I would use it in my work to show clients demo’s of it and other product I would recommend/design for them! I am a subscriber. I would use the tablet to create drawings for presentations at work, read e-books, and watch movies and play with my kids (What a great way to capture their childhood drawings). I’m a subscriber. If I were the lucky winner, I would use it to start my own series of children’s art prints…something I’ve wanted to do ever since I went freelance. I’ve been a graphic designer for years, but since going freelance I’ve not been able to afford a digital drawing pad. I was drooling over this when I first saw it on Project Runway! I subscribe to the Techlicious newsletter! If I won, I would use the Touchsmart for my on-line business work. I use my HP laptop EVERY day 8 hours a day and it’s on its last leg!! Thank you so much for your informative newsletter and chance to win! I’m a subscriber - and I would use the Core Paint It! Software for my professional collages and other artwork! I am a subscriber, and would love to give this to my mother-in-law!! I think it would be the perfect, easy starter for her. Now this is something my Mother could really use. I subscribe. I would use this to replace my dying laptop. It just looks like such a snazzy device. It would be so much fun . . .housework would never get done. I’m a subscriber, If I won, I would give this to Mom! Subscriber. I will give it to my niece who love to design clothes. Thanks for the contest.